And time on my hands. 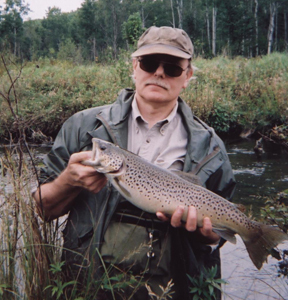 Trout fishermen in Michigan have some serious waiting between seasons, seven months approximately, Sept 30 through the last Saturday in April. Most fishermen take up deer and small game hunting to stay busy but in my case I have been away from hunting so long it is hard to jump start that program again. 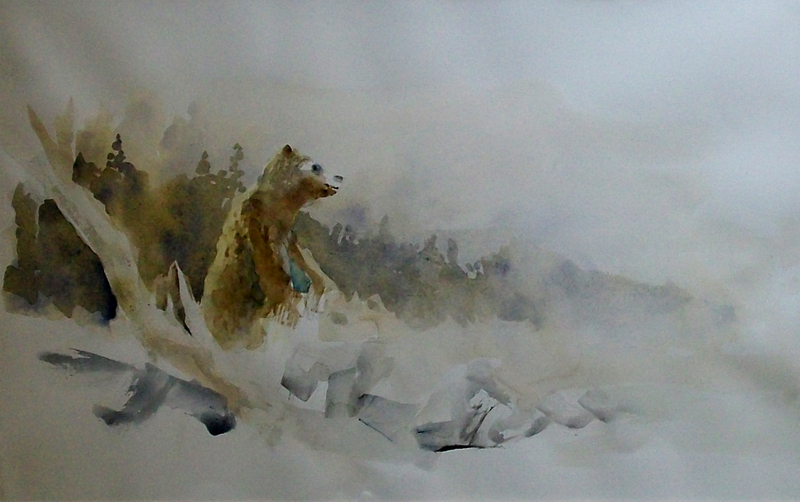 I’ve had a variety of pastimes over the years, from writing screenplays and stories (and this blog) to watercolor and acrylic painting to guitar and songwriting. I am happiest whenever I am doing something creative and don’t know why that is. There seems to be an undefined need to leave some legacy or proof that I existed for a short tour of planet earth. (Aside from my beautiful daughters!) So it turns out that the lag between trout seasons offers a chance to dive into an art form. Problem is: what next .. or do I reboot one of my earlier past-times? 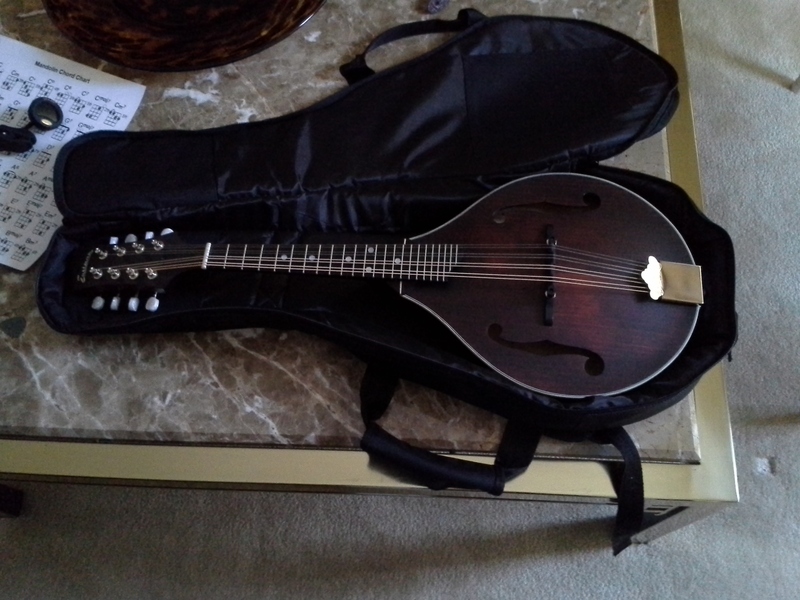 A few weeks ago I bought a mandolin. I’ve never played one but always liked the sound, especially over an acoustic guitar. Feral plays guitar, banjo and mandolin so as a jamming partner he’s there every time we camp, but we also have a buddy, Denny, that started holding winter jam sessions in his out building, a pole barn set up for his glamour photography business. I took the mandolin to Denny’s last jam session and played an old Marshall Tucker song, Fire on the Mountain, which went well considering I struggled to find the correct scales and chords. It was encouraging! I also played an original song called “Love Your Waitress” which is a three chord bluegrass song, my first attempt at writing a bluegrass hit. I should mention it is a song honoring waitresses, not about falling in love with them. I am getting more and more interested in bluegrass mainly because bluegrass players have so much fun and also because there are interesting things going on in that music genre. My youngest daughter, Lisa, gave me some CDs for Christmas including artists Iron Horse, Mandolin Orange, and The Devil Makes Three, all of which might be considered fringe bluegrass. Great stuff, non-traditional and out there. So it looks like some mandolin practice while waiting for the trout opener. Nice post to get us motivated for the upcoming season. Pretty cool stuff with the mandolin and tunes you are practicing up on. I can’t wait until the end of April and hitting the small streams and rivers again. Before that time comes, I will have to get out for the Steelhead run. Looking forward to possibly crossing paths with you guys this year. Rob G.